"One cannot rule out that he is a front man"
An excerpt: Part 6 of TrueHoop's investigation into Mikhail Prokhorov. The investigation so far: Part 1.Part 2.Part 3.Part 4.Part 5. The following is an excerpt. Just the first section of today’s post, sent to subscribers in full minutes ago. 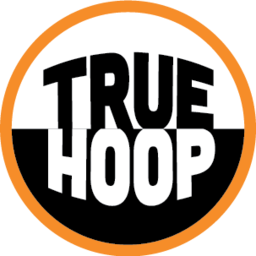 Join and you can read the whole thing, all of the Prokhorov investigation, and the TrueHoop archives. Decades ago, rich people bought NBA teams for amounts in the tens of millions of dollars. In those days, a regular person had a shot at understanding where that money came from. Peter Holt bought the Spurs with money from a business his uncle founded selling heavy equipment. Larry Miller wrote a book about how his car dealerships afforded him the Jazz. Amway dollars bought the Magic. We do not know how much of Prokhorov’s money is his own and whose money he is investing in Western assets. In fact, given his continued loyalty to the Kremlin, there is no way to fully confirm that his investments are not actually a way to circumvent sanctions. One cannot rule out that he is a front man not only for his own money but also for the capital of Kremlin insiders, who are now buying his assets at surprisingly acceptable prices (at or above current market price). Just under a year ago, Prokhorov publicly said that ownership of the Brooklyn Nets helps him to counteract US sanctions because of the human interaction between teams, professionals and common people. Prokhorov owns a lot of things—the Nets are but one big asset—but Zaslavskiy suggests that in some of his assets he’s a front man for Kremlin insiders? Could the Nets be one of those things? So we go to PutinCon. Putin Week rolls on with further insight from PutinCon both Wednesday and Thursday. Friday: David Thorpe assesses the NBA potential of Zion Williamson and how the Blazers cope without Jusuf Nurkic.